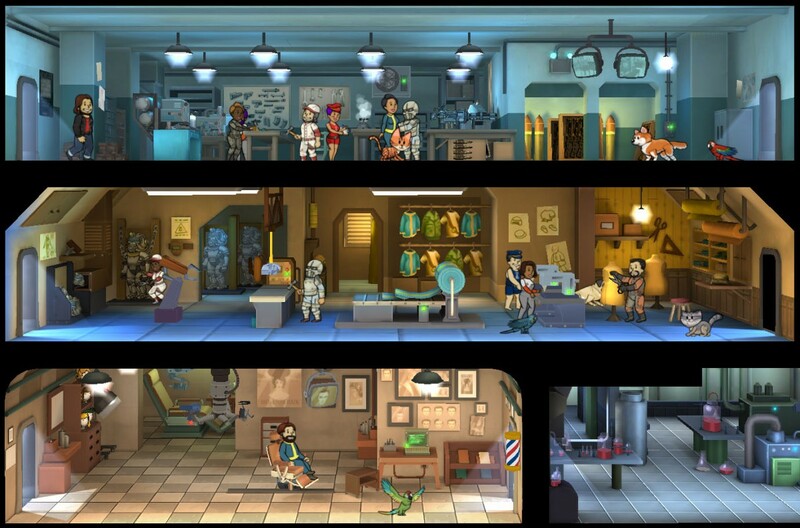 Fallout Shelter update 1.4 out now - includes new rooms, crafting and parrots! - Use a Potion! 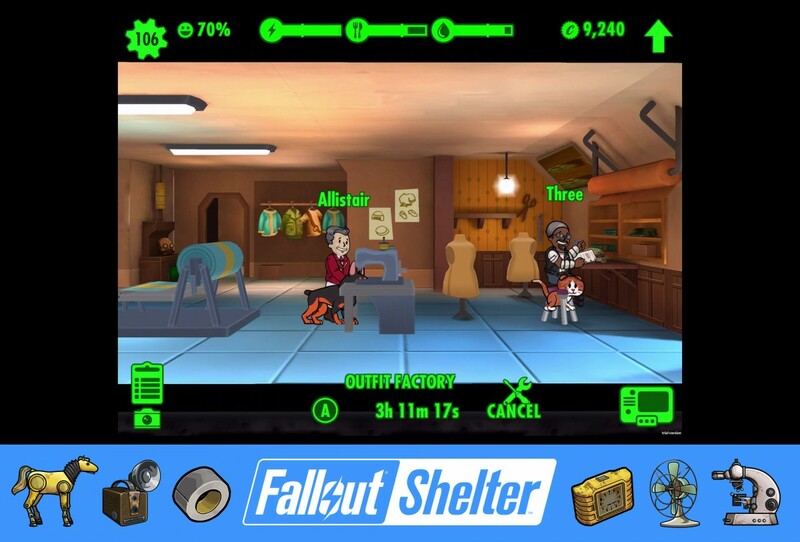 Fallout Shelter update 1.4 out now – includes new rooms, crafting and parrots! “With Update 1.4, invigorate your Fallout Shelter underground community with the biggest update yet! – Turn worthless junk into useful items! Introducing… crafting! – New Rooms! Build the new Weapon and Armor crafting rooms and use them to create your own items in game! – Lunchboxes now contain a bonus 5th card: Junk! Trust us – it’s more useful than it sounds. Lucky wasteland explorers may also find junk on their adventures. – Take the Overseer role to the next level. Build the new Barbershop and customize the look of any Dweller. – Keep up with the latest fashions! Find new Outfits and Weapons straight from Fallout 4 in lunchboxes, or craft them yourself! – Because four-legged companions bring overwhelming happiness, we’ve added new Dogs and Cats, and are introducing… Parrots! Plus, new Pet bonuses! There are some great new additions there, with the crafting especially adding an all new dimension to Fallout Shelter gameplay. There’s been constant support for the title since it released last year and it’s paid off too – the game has won countless awards including ‘Best Handheld/Mobile Game’ at the 2015 Golden Joystick Awards and most recently ‘Mobile Game Of The Year’ at the 2016 D.I.C.E. awards. 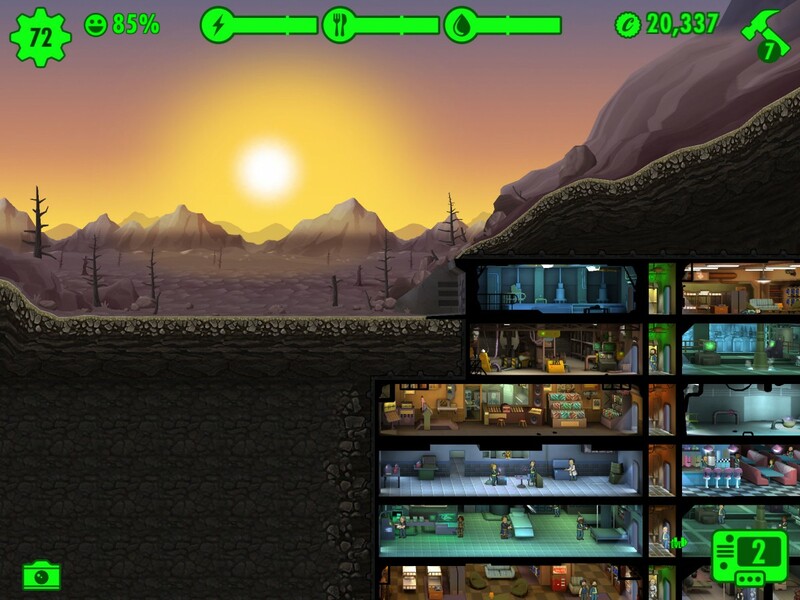 If you haven’t already invested your life into Fallout Shelter, why not do it now? It’s available for free on iOS and Android.